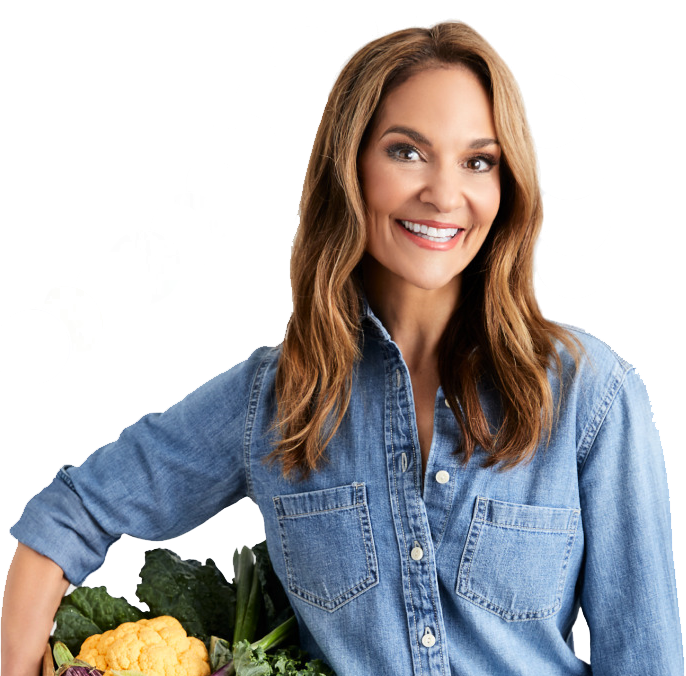 In her first workout DVD, Joy offers an efficient, effective total-body workout — plus bonus segments with her top diet tips and easy, delicious recipes! Need help finding the time to squeeze exercise and healthy eating into your schedule? As a registered dietician, Joy Bauer knows a balanced diet and regular exercise are essential to good health. But as a busy professional, wife, and mother, she also knows how hard it can be to find time to eat right and work out. Joy Bauer’s Slimdown Workout is a practical, total-body workout that will help you shed weight, and increase energy and stamina, without cramping your schedule. Join in, and you’ll tone and tighten your abs and glutes, increase strength and definition, and feel great from head to toe! Order your copy today! 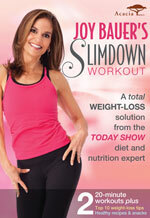 For a sneak preview of Joy Bauer’s Slimdown Workout, check out this clip! And much, much more. Order your copy today!